Warning: This article contains a major spoiler about the plot of ‘Avengers: Infinity War.’ If you haven’t seen the movie yet and don’t want it to know what happens then PLEASE STOP READING NOW. Since I was a boy I’ve loved Marvel Comics, and over the past decade I’ve loved almost everything about the Marvel Cinematic Universe (MCU). But I don’t love the latest the edition of the MCU, Avengers: Infinity War. I should love the film because it’s packed with everything I want in a Marvel movie, namely an abundance of superheroes engaged in non-stop action. But in Infinity War the main character is not a superhero but a supervillain, Thanos. I hate the character of Thanos. I despise him mostly because, given the opportunity, I fear I would become like him. Not exactly like him, of course. I certainly wouldn’t use the Infinity Gauntlet to snap my fingers and cause half the population of the universe disappear. But that’s because Thanos is a neo-Malthusian, while I am not. 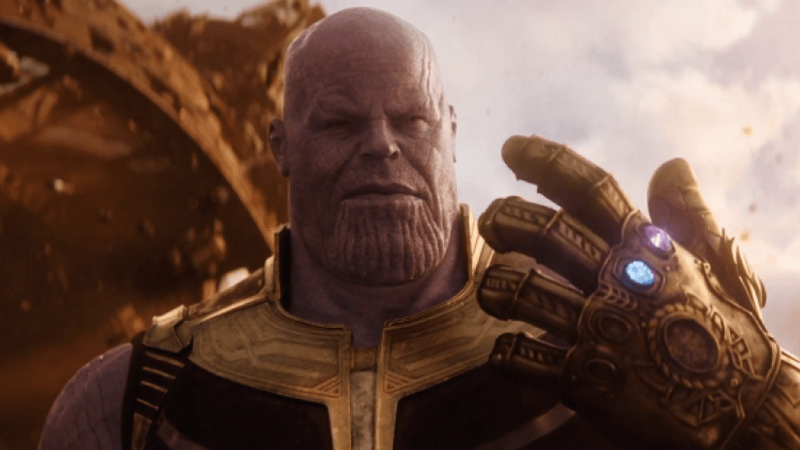 Thanos believes that to avoid universe-wide famine and poverty, every intelligent species in the universe must be cut by half. Culling every population is a horrific but necessary process, according to Thanos, because without intervention they will inevitably consume more of the resources than their environment can produce. In this view, Thanos echoes Rev. Thomas Robert Malthus. “The power of population,” wrote Malthus in 1798, “is indefinitely greater than the power in the earth to produce subsistence for man.” In other words, unless population growth is checked by moral restraint (refraining from having babies) or disaster (disease, famine, war) widespread poverty and degradation inevitably result. The idea that population growth causes poverty comes from the ubiquitous zero-sum-game fallacy: the idea that the economy is a pie with only so much to go around. But the economy is not a pie — economies can grow, and population growth can actually help development. A growing population means more labor, which along with land and capital are the main factors of production. You would think someone intelligent enough to defeat hundreds of alien civilizations, the “Guardians of the Galaxy,” and “Earth’s mightiest heroes” would be smart enough to see through the Malthusian fallacy. But the belief that population growth leads to extinction has been shared by a broad range of people with high-IQs, including Charles Darwin, Albert Einstein, and Stephen Hawking. Perhaps, then, there is something going on other than a mere misunderstanding of environmental economics. Have you ever imagined what you’d do if you were made ruler of the world (or at least a small country)? Your first inclination is likely to be to use your power as a benign dictator to enact positive reforms that would make everyone better off. So why don’t actual rulers do the same? Why don’t they act in a rational ways like we would if we had their power? Those who have political or economic power inevitably forget—or perhaps simply ignore—the reality that knowledge is “not given to anyone in its totality.” Power and humility are rarely found together, since the latter provides too many checks on the former. It can even make the pursuit of power seem an unworthy objective. Why would we bother to acquire great power if we knew we lacked the knowledge to wield it for good? But power is naturally attractive, so in seeking power we often search for a justification for its acquisition and use. That’s why power becomes attached to ideology. Ideology can be used to justify anything. For example, if you use your power to indiscriminately kill millions you’ll be labeled a mass murder. But attach your power to an ideology, such as communism, and the killing of millions can be justified as necessary for the “progress” of humanity. Like Stalin, Mao, or Che Guevera, ideology can transform a murderer into a global hero. As a character, Thanos represents an anti-“anti-ideological ideology,” which makes him a form of anti-Christ. What makes him so horrifyingly compelling is that he reveals how we could easily become anti-Christs too. And as history has shown, we don’t need the Infinity Stones to cause death, destruction, and despair, we just need a bad idea, good intentions, and a sufficient amount of power over our fellow humans.